"The result of our many year research and development in phono preamplification design. 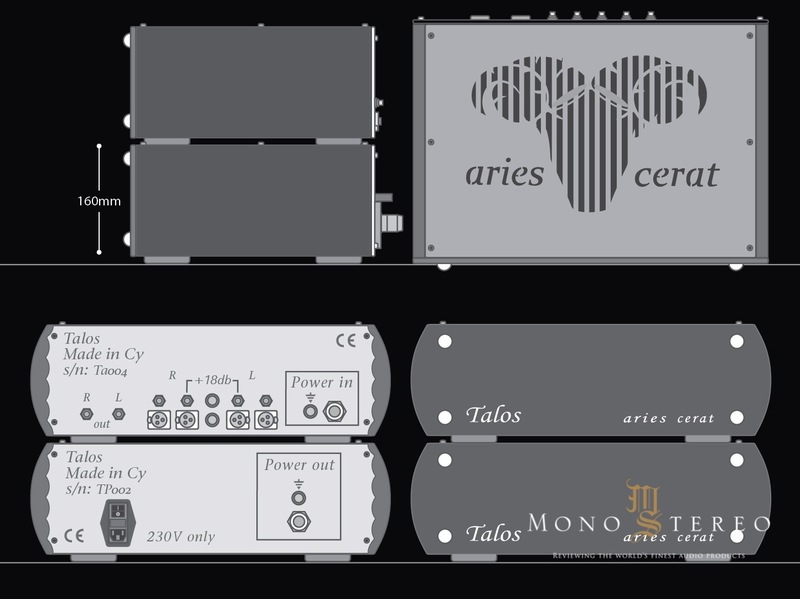 After spending years researching and designing and building /testing various designs, including discrete solid state, tube hybrid, and opamp phono stages, we settled to an all tube, three stage, all transformer coupled uniquely designed phono stage, that brings something new to the analog world. 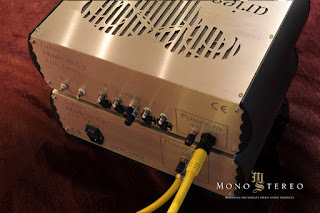 Our goal was to design and built the best phono preamplifier, a unique cost no object implementation." "We strongly believe we have done so. " 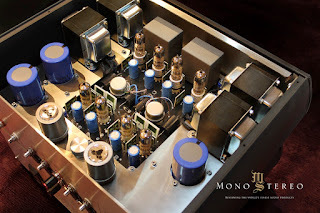 A phono preamplifier generally consists of three subsystems. 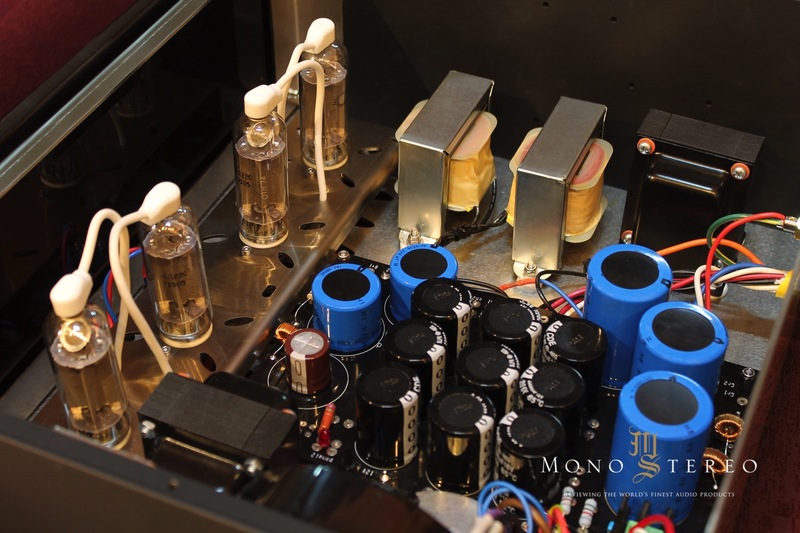 The input stage, responsible for the main amplification of the delicate signal sourcing from the phono cartridge. This task is extremely difficult. The signal level is only a few microvolt rms, comparable to the noise level picked up to the majority of interconnect cables, and even to the thermal noise of some active devices. So, the input stage must amplify the signal to the last micro detail coming from the vinyl groove, while rejecting the noise coming from external sources such as the cables and the turntable electromechanical system. The selection of the active device used for the input stage is as critical as the design of the topology used. Operational amplifiers were rejected for this cost no object design. Although their performance on the benchmarks were impressive, all opamp designs failed to deliver the detail, flow and sonic bliss associated with top analog systems. Many discrete jfet implementations, balanced and single ended, were too, more then satisfying regarding measurable performance. None of them was quite there, and fell short of our expectations, to stand next to an absolute top system. More to that, their high input capacitance presents several problems to the cartridge loading. Our input stage is a proprietary topology using the E280F super tubes. The input stage is a true differential design. The signal sourcing fom the cartridge is amplified as a perfect symmetrical signal, either RCA(floating) or XLR input is used. Any noise picked anywhere in the signal chain, from the cart pins up to the phono preamplifier inputs, is rejected. The two tube banks parallel-feed (parafeed) two mumetal transformers for complete noise rejection. The input stage can be accompanied by an optional custom, balanced-to balanced step-up transformer, built to exact customer's needs, to tailor-fit each cartridge used. The detail retrieval from our input stage is phenomenal. The second stage of a phono system is the RIAA equalization circuits. 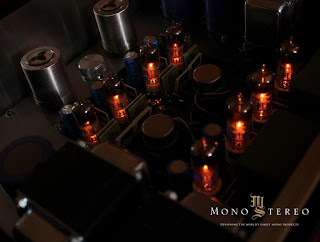 Almost all phono preamplifiers use CR (capacitor-resistor) filters, usually in feedback loops for opamp designs, or between gain stages in some more expensive tube and discrete jfet circuits. 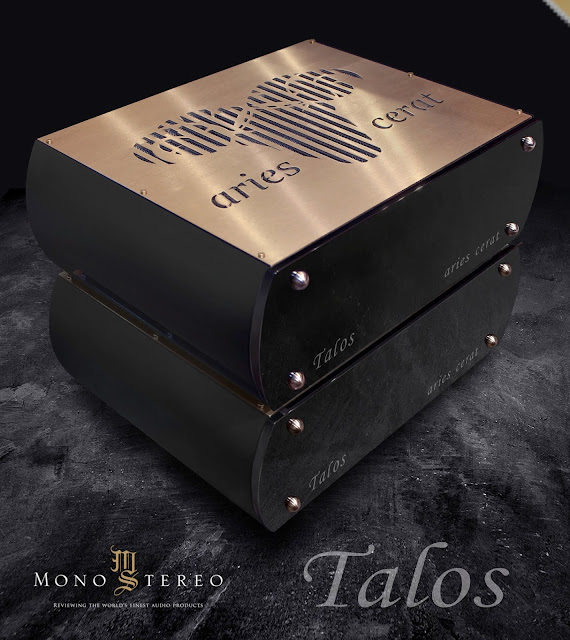 Talos preamplifier could not use but the best possible RIAA equalization technique. A constant Impendence transformer-coupled LRC RIAA equalization subsystem is used. A small transformer loaded tube SET amplifier drives the RIAA transformer system,and the RIAA equalization curve is achieved within 0.2 db in the audible range, the ultra-low constant impedance of the LCR circuit is virtually sonically transparent. 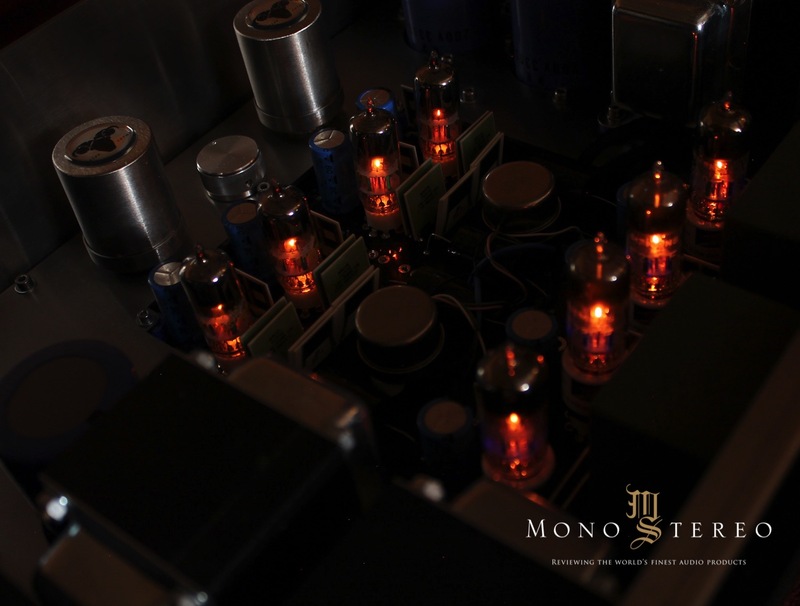 The third ( output) stage, is a transformer-coupled triode stage, using the E280F supertube. A step-down transformer provides low output impedance, galvanic isolation and more than enough power (voltage and current) gain to drive any device in the market. The power supply is implemented by 4 very high current tube rectifiers, with quad choke filtering. All tube heaters are passively filtered by a six-stage filter. 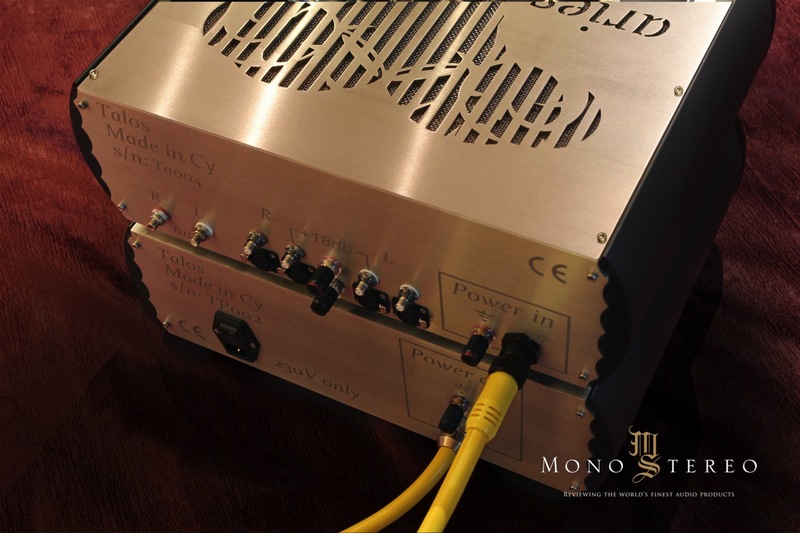 The small SET amplifier driving the LCR RIAA and the small SET output amplifier , are powered by their separate PSUs. 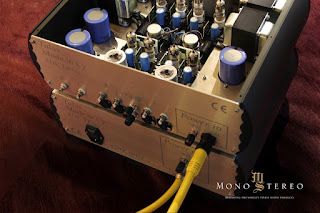 The external power supply is connected to the main chassis via a heavy duty umbilical chord. This ensures complete magnetic separation between the power transformer and the eight signal transformers. The Talos Series Phono system is our best and final effort in designing and building the absolutely best phono preamplifiers. Accompanied by a top analog turntable and cartridge system, we believe that they are the Top Reference audio source today." Gain: 62db , 80db with optional 18db SUT. Custom step up ratios/impedances available. Cartridge Loading options: Limit-less number of resistor values.Loading modules can be ordered in any resistor value.